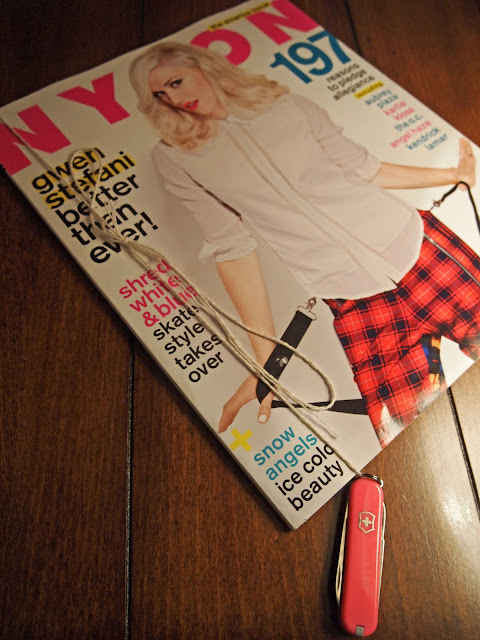 This past week was the Nylon Magazine store opening party for Victorinox, a menswear company that became known for their signature swiss army knives. Besides these handy tools, they also offer clothing, fragrances, and accessories. Hosted by Steven Rojas, Grand Life Hotel's digital director, it was an intimate gathering of friends and media influencers. In the gift bag, guests got to walk away with their own swiss army knife! Special thanks to my intern Jackie for covering the event and providing the photos! This Thursday (Dec 6), while I'll be attending Lucky Magazine's Lucky Shops Red Carpet event, Jackie will be covering a special LIM holiday shopping event and we will be both live tweeting @audreyallure :) Follow @audreyallure on Instagram as well to see some live photos! Looks like an interesting event. And who is Steven???? Sounds like a cool event. I'm a massive fan of Victorinox. Their watches look incredible. Wow looks like such a great time!!! looks so fun, the events. and it's Nylon event! fantastic event, those watches have caught my eye! I love those old school Swiss Army multi tools. I used to carry a tiny one on my key chain, but finally lost too many to TSA, bleh! Swiss army has always been a welcome tool in our home---great display!